The figure of 112 was reported in the Times and has been something referred to in a number of articles in the mainstream media. We now have concerns about whether or not this number is accurate. 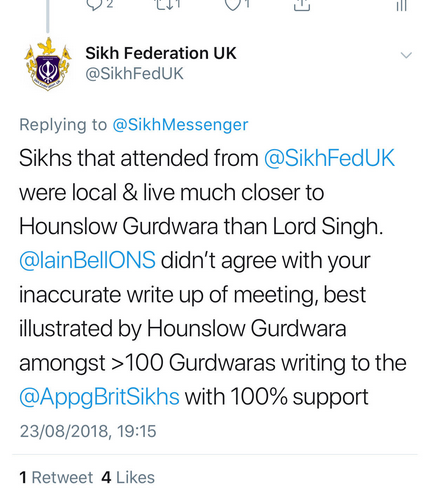 A tweet by @SikhFedUK on 23 August 2018 (above) suggested Hounslow gurdwara (Alice Way) were one of the 112 that wrote to the APPG for British Sikhs in support of the ethnic tick box. 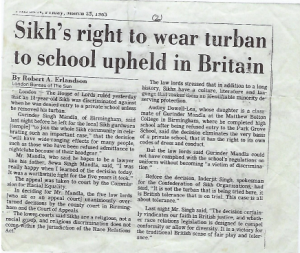 We have asked the Sikh Federation UK for comment, but they haven’t yet responded. Interestingly, when Dr Jagbir Jhutti-Johal from the University of Birmingham raised legitimate questions in an article titled ‘Sikh ethnic tick box in the 2021 Census and a question about research and methodology’, she was bombarded with vitriolic tweets, some deliberately tagged into her employers. Given what we now know about Hounslow, should the secretariat to the APPG for British Sikhs not urgently release the list of 112 gurdwaras, briefing supplied and responses received? Speaking to a number of MPs, including some of those who have given support to the Sikh ethnic tick box, confirms that few have any understanding of Sikh teachings against artificial and divisive groupings of our one human race; nor were they clear of the supposed benefits of describing Sikhs as an ethnic group. Those who signed did so because they were told that this is what their Sikh constituents wanted. Gurdwaras are generally unaware of the pros and cons of ethnic monitoring. 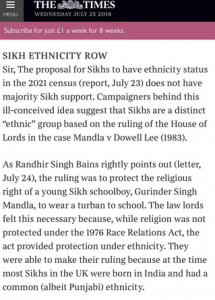 Some, that have voiced support for a Sikh ethnic tick box, say they did so because they are stridently opposed to the alternative of describing themselves as ‘Indian’, because of still lingering anger over the state-sponsored genocide against Sikhs in 1984. Many others are of the view that calling ourselves an ethnic group as opposed to Indian is a step towards creating distinct ‘quam’ (national) identity and the creation of a separate Sikh State in India. While the emotive appeal is very real, it has nothing to do with the 2021 census. It also ignores basic Sikh teachings on the absurdity of creating artificial divisions in our one human family – particularly in the pursuit of supposed material gain. It should also be remembered that some of the organisations lobbying for support for a Sikh ethnic tick box, like the Sikh Federation UK, and the Sikh Network, etc, are all run by the same small group of people, who also have a dominant voice in the Sikh Council. The overwhelming attitude of most gurdwaras to a Sikh ethnic tick box in the census is a lack of understanding and relevance. 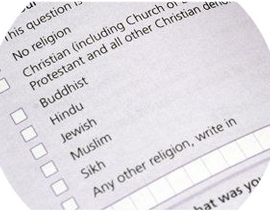 If told that that a Sikh ethnic tick box will benefit the ‘quam’ (Sikh nation), they will probably quickly sign support and get back, to what they regard as, the more important business of providing a service to their sangat (congregation). If however, the real pros and cons are explained and discussed, interest is more sustained, and attitudes are often quite different. At the suggestion of ONS officers, a meeting was arranged in Guru Singh Sabha Gurdwara Hounslow, with a representative of the ONS present. Presentations were made by the NSO and the Sikh Federation UK and, after discussion for more than an hour, the proposal for a Sikh ethnic tick box in the next census was totally rejected by members of the Gurdwara Committee. The Sikh ethnic tick box proposal has also been totally rejected in other gurdwaras, where both the pros and cons have been explained and discussed by Committee members, most recently at the gurdwara in Edinburgh. 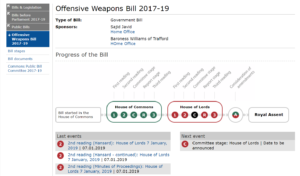 The only real way to assess whether Sikhs in the UK are prepared to over-ride essential Sikh teachings for unquantified material gain, is by open public debate monitored, and perhaps presided over, by the ONS. Unfortunately, this repeated suggestion by the NSO has been met with personal abuse from the Sikh Federation UK in its different guises. My repeated request to be allowed to address the APPG for British Sikhs (from which I and other Sikhs in Parliament have been excluded) has also been consistently ignored, as has my request for open debate on any London Sikh TV Channel, Why? My hope is that we show that we are mature enough to discuss such issues rationally and respectfully, always bearing Sikh teachings in mind. 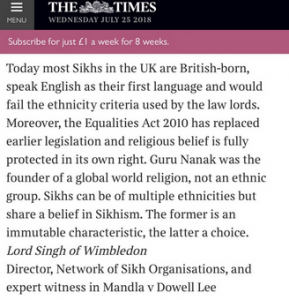 As many will know we have strenuously opposed the Sikh Federation UK’s (SFUK) ill conceived campaign to classify ‘Sikh’ as an ethnicity for many years. In recent months this increasingly divisive debate has become the subject of significant mainstream media coverage, including an article in the Times last month. The article ‘Sikhs may get ethnicity status’ instigated another flurry of debate and conversation for and against. Meanwhile during this period, some exchanges on social media turned rather unpleasant, troubling and on occasion personal. Our Director responded to the Times article with a letter (below). To help provide a summary of arguments against we refer to the following Q&A and a short summary below. 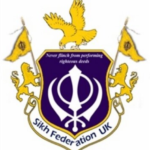 We have spoken to many Sikhs who are undecided whether the SFUK campaign is a good idea or not, and this is largely based on not understanding the issues at hand. Some elements are admittedly complex. We hope the explanation below which has been shared with key stakeholders and decision makers, provides absolute clarity for those grappling with this important issue. In short Sikhism is a great world faith open to all, it is not an ethnic group.